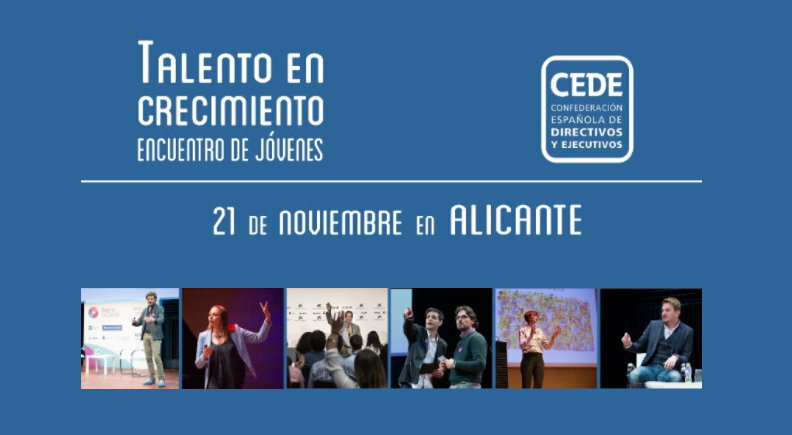 The next 21 November 2017 presents a new edition of %u201CTalent in growth%u201Din the Auditorium of the Diutación of Alicante (ADDA). The sessions of this Meeting will allow to the young students or recently graduated that initiate his professional career go in in contact with executives of the high direction and know at first hand his professional experiences. Besides, with the help of recognised speakers, the youngsters will be able to improve his competitions and aptitudes, improve his curriculum vitae, move it in the social networks or face the first interviews of work, between other a lot of useful recommendations to orient his future.